The purification ceremony works in relation to the four basic elements on Earth. Tim us using a turtle-shaped sweatlodge, built from sticks and covered in blankets. the physical aspect represents the element of earth. the Sacred fire is burning outside, with its stones later brought in to heat up the place, representing the element of fire. the Sacred water is poured over the hot stones by Tim, representing the element of water. 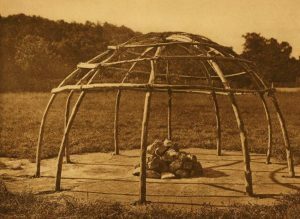 the air that we breathe in the sweatlodge represents the element of air. All four elements work with all four human bodies: the physical, emotional, mental and spiritual body. The ceremony helps us cleanse and heal ourselves in accordance with our current needs, prayers, requests and giving thanks. There is also singing of ceremonial songs involved, helping us surrender and experience whatever is in our highest good. A Vision Quest is a beautiful and powerful ceremony that can help a person connect deeply to his/her own spirit, given that he/she is willing to surrender. The person finds a spot somewhere in nature, possibly on a hill, to spend 3-4 nights, by sitting, praying, giving thanks…in the arms of Mother Earth and the Creator. Without any food and water, the person can get to know his/her own essence and gain deeper understaning about the purpose of his/her life, by connecting to the entire Creation. The person asks for permission to do the ceremony by handing tobacco to Tim, who is then responsible for guiding the person throughout the entire ceremony. By giving tobacco, the person commits to do the ceremony in the near future, usually within a year. Preparation time is ususally very intensive in all areas of the person’s life. While making preparations, it is is advisable to do as many sweat lodges as possible. However, preparations start even before giving tobacco, by collecting information about the ceremony and everything that goes with it. At the same time, the person needs to arrange smooth running of the entire camp during the ceremony, by taking care of his/her own supporters’ well-being, their food and drinks, as they are the ones will be helping and connecting to him/her. After the ceremony, the person thanks them in the most appropriate way. Let us recognize and honor the spirit of Mother Earth! The ritual is aimed at thanking Mother Earth for everything that she is giving to us, for the life on this beautiful blue gem. People often don’t know how to take care of her properly and it seems that we are not entirely aware of all that she offers us and what we can learn from her. All we need for our lives on a physical level comes from her. Food, clothes, materials for houses, cars…even ”plastic fantastic,” as Tim says, comes from Mother Earth. The most important teachings that we can learn are acceptance, giving and unconditional love. She teaches us all the time, if we only know how to listen to her and feel her. That’s why such rituals, meditations and contemplations are so important. 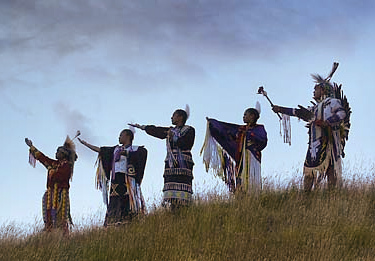 The Earth Dance is trying to bring us into harmony with the energy of Mother Earth through the art of dancing, accompanied by the sound of the Sacred drum and ritual songs, which are being sung with attentive care, gratitude and love. The dancers sacrifice themselves by dancing for four days without food and water, showing respect and giving thanks for all Mother Earth’s unconditional love and care for all her residents and kingdoms. There is a special kind of beauty in the Earth Dance symbolism. A tree of life in the middle represents Mother Earth, and a circle of seven roses growing around the tree represent the feminine principle. As the ritual focuses on women, they are dancing in the middle, whereas men on the circumference of the Sacred circle, which is surrounded by twenty-eight pairs of birch trees. 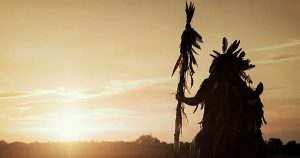 The dance brings four days of prayers, giving thanks and honoring Mother Earth through all her creation and the Creator. Anyone who wishes to join the Earth Dance needs to undertake a 3-4-day Vision quest ritual first. Each year, during the time of All Saints Day, we honor and remember our ancestors with a special ceremony. 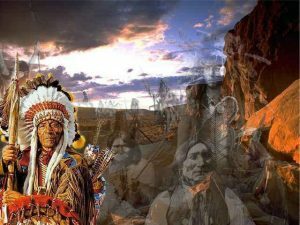 At the Earth Dance site, we give thanks by bringing flowers, food, drinks…for everything they did for us to be able to live on and continue the lineage. We remember not only of family ancestors but everyone who have gone before us and have had a significant impact on our lives. 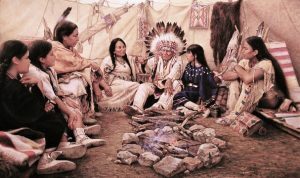 Traditionally, a ‘Talking Circle’ is convened whenever a certain matter needs to be dealt with and solved in the highest good of everyone. Starting to speak is the person who called everyone, by first describing the situation. When speaking with an open heart, the person holds a special stick in his/her hands, while the others are silent and paying attention to what is being said. When the person is done with the speaking, he/she hands over the stick to the next person clockwise. Thus, everyone has a chance to speak about his/her own view on the matter. The token may go around several times, until the matter is solved. It is said to be a very beautiful ceremony. 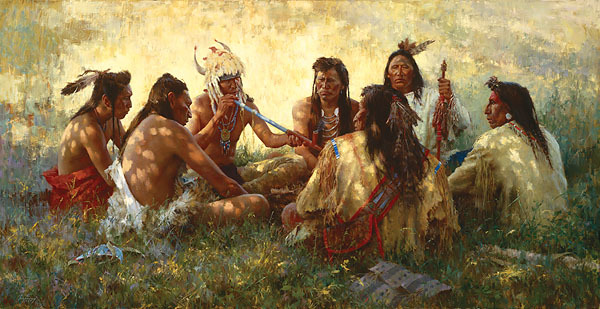 Based on a legend, the Sacred pipe was brought to Native Americans by the White Buffalo Woman, passing on the secret to connection with the Great Spirit. The Sacred pipe pipa is lit up in a Sacred circle, which is a symbol of connection between all living beings into one. When the pipe is being filled with tobacco, prayers are also being said for the good of everyone living on this planet. What’s interesting about this tobacco is that it is not tobacco at all, but a mix of medicinal herbs. Whoever is the carrier of the Sacred pipe, can smoke it on his/her own, too, but always for the common good. The Sacred pipe can not be bought! You can only get it from a Native American healer, if he/she decides so. In this case, you can use the knowledge you received from him/her. This way, you are shown trust, that you are ready to act for the common good. Have you ever been brave enough to crawl into a small willow dome covered in blankets, wrapped in a towel, in the middle of nature? Have you ever let yourself go with the singing of Native American songs, surrounded in complete darkness, in the heat and steam? Join us, as only experience counts. Tim Sikyea is performing traditional Native American customs and teaching the Native American way of life, also through sharing the wisdom and knowledge of his ancestors. He’s helping people find their joy, appreciate life and be happy through conversations, speeches, interviews and ceremonies. Tim was first brought to South Africa to hold Purification Ceremonies back in 1994 in Rustlers Valley. After a break in 1997/8 he was called back to Mama Africa. After several venues over the years the Sweat Lodge eventually found a home at three venues around South Africa.